Home Magento 2 Automatic Related Products How to create Random Products block? Today is another beautiful day to learn about the various way of creating notable recommendation product block inside Magento 2. Have not been overcome idea block recently, when you can’t figure out exactly what you want, what your business wants or what precise your customers want? You have no idea about what will you promote? Then just pick up a random one in your storage and suggest it to them. As a matter of fact, sometimes people still end up buying merchandises which are not in their primary wishlist at the first place. What does Random Products block? Block is a kind of the solid slider can be inserted in your website. Sliders can be used for all kind of websites however they’re most commonly used on business websites or professional portfolio websites. Therefore, it’s a practical matter that the number of digital stores who are experiencing how to promote dozen of products on a page, is increasing greatly day by day. 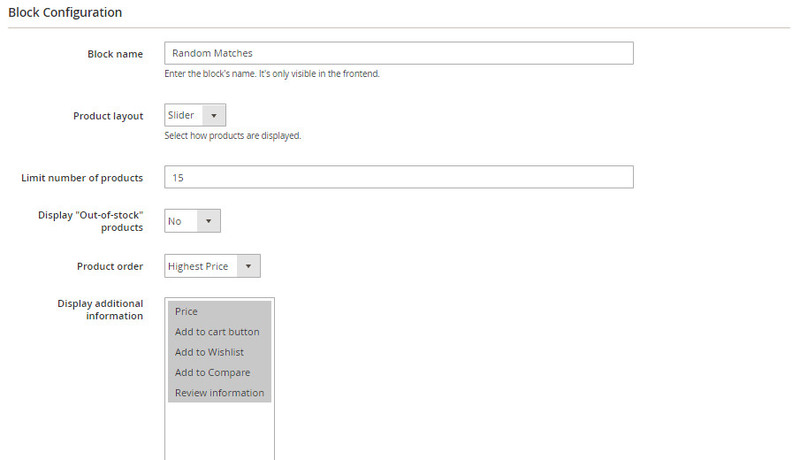 And Random Products block will collect limited products randomly, display it on the slider. 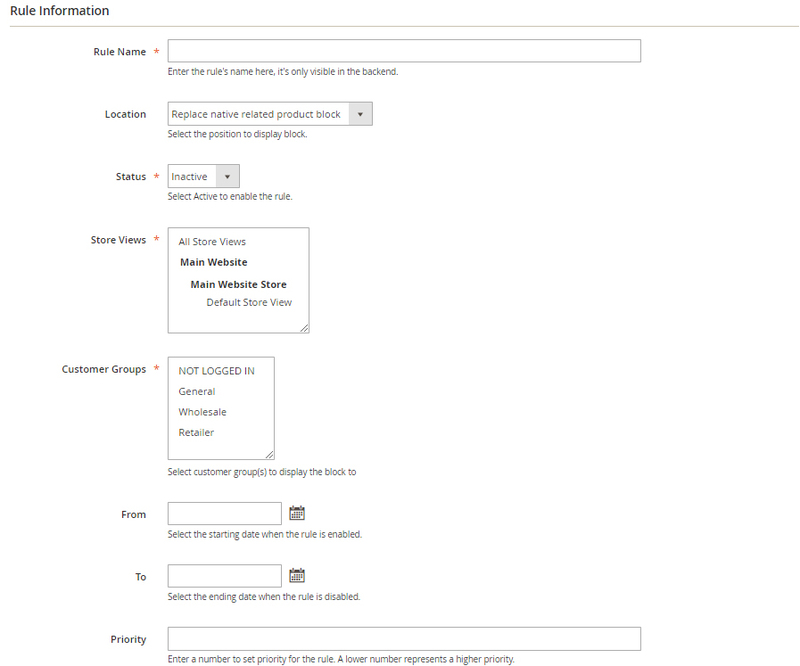 Each of block will switch products in your catalog differently so no worries about duplicate product galleries. Does it work on my site? If you can consider use block generated by Magento 2 Auto Related Products extension, trademark by Mageplaza, obviously you won’t have to concern about the compatibility. Mageplaza builds the extension hinge on Magento 2 standard code hence customized block won’t cause conflicts to your store nor increase loading time. Particularly, Random Products display different products in each of pages, so instead of manually configuring products per thousand of item detail pages in pain, you can let a module generate them automatically based on a fixed rule. Thanks to the mentioned in-bulk promotion in the above passage, you’ll be able to implement your marketing campaign now by scattering and pushing up all your brands equally in a short of time. If you are a newbie with a fresh-born store in Magento 2, this advance block is definitely a good suggestion for you to consider. There will be an extra section that will help you compare the number of clicks and research which products are best stirring up visitor’s curiosity, the first brick to build more product strategies from customer’s behaviors. Installing Automatic Related Products extension is the most important part. There are 3 ways to execute this plugin and all of them are easy to configure. They’re all supplied by the reasonable pricing that it’s worth for your finance. And here’s the detailed installation guide for Automatic Related Product extension in this link. In the Customer Group field: The rule is only applicable to customers who in the selected group. In the Priority field: This is the field where you enter the priority of the rule. I’ll enter 1 in this field. In the Limit number of products field: Enter the maximum number of products displayed in a block. At this field, I set 15. Comments for How to create Random Products block?